broad range of Jewish educational opportunities. Individuals passionate about Jewish education. young adults through its programs. Programs for teens and their educators. BJE supports schools and families during the early childhood years. Everything you want to know about local camps, schools and programs for Jewish children and teens! Programs and networking opportunities for college students, young adults, and adults. 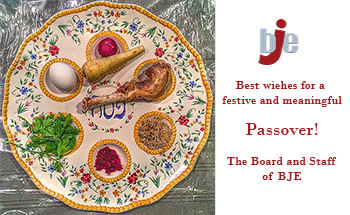 BJE connects families with camps, schools, holiday ideas and activities for a vibrant Jewish Life. BJE works with families to help them find the right early childhood experience for their child and works with Early Childhood Centers and Parent & Me programs directly to ensure that that experience is the best that it can be. BJE provides programs and services to part-time Religious Schools, Youth Groups and their professional staffs, benefitting more than 10,000 L.A. children and the hundreds of Educators that serve them. seeks to inspire Jewish youth to “Learn. Act. Reflect. IMPACT.” BJE's goal is for youth to engage in meaningful service opportunities. BJE offers a wide range of support to day schools (accredited, full-time K-12 private schools), educators and families with the goal of helping ensure the highest levels of quality and accessibility across the religious spectrum and through the greater Los Angeles area. Be a part of the BJE community. Here’s what’s happening now. Registration Open for TSC and CITs! Calling all teens with a passion for making an impact! Nearly 300 from BJE to March in Poland! Teen and Adult BJE March of the Living Departs! For 80 years, BJE has been the only organization wholly dedicated to Jewish education in Los Angeles, across the religious spectrum and in all aspects. More than half of the money we raise to provide educational opportunities to young people in our community comes from individuals like you. We’re grateful for your support and can’t do it without you. We are so close! Please help us reach our goal. Education Trends, and Event Updates. I’m a product of the Reform Movement and have been blessed to have a variety of meaningful moments and experiences that have led me to where I am today. My mom is a Reform rabbi, which naturally meant that we were very engaged in the Jewish community. I was active in NFTY (the Reform Jewish Youth Movement), and was what I like to call “summer camp adjacent,” with so many friends who were devoted campers. In college, I was active in Hillel. I’ve been fortunate to have had so many meaningful Jewish experiences which led me to want to help others have their Jewish moments and experiences. I realized that I could help guide them. I think builders lay foundations, and what I get to do is help lay the foundations for Jewish journeys, identities and teachable moments. It is definitely my love of these cumulative experiences that led me on a path to become a Jewish educator. I got my professional start working in Jewish camps – first at URJ Kutz Camp, where I coordinated the Gibush program for teens with autism, and then at URJ Camp Newman, where I was the Camper Care Director. Working with campers with special needs was particularly meaningful, and as a result, I truly believe we can create space in the Jewish community for everyone to be their best selves and to foster a love of Judaism. In some ways, I’ve spent my whole life preparing to be a builder of Jewish education, so it’s exciting for me to bring my experiences and enthusiasm to BJE. Rachel Dubowe is an Experiential Educator with BJE. This week, BJE-affiliated day schools were engaged in the important work of leadership development and skills building, facilitated by Rae Ringel, a faculty member at the Georgetown University Institute for Transformational Leadership and a leading expert in fundraising, board development and communication. On Monday, heads of school and board leaders from BJE's Day School Board Development Cohort, Leading Together, addressed the issue of strengthening the sacred partnership between the head of school and the board. Tuesday, at BJE's annual Day School & Yeshiva Administrators' Retreat, participants tackled the topics of how best to work with people and facilitate more productive and effective meetings. "We are grateful to the Glazer Philanthropic Fund and other donors for helping ensure these important conversations in our schools through 'Leading Together'," said Betty Winn, senior consultant for BJE's Center for Early Childhood & Day School Education. "I think there's more that BJE can do to further this great work between heads of school and their boards, and I'm excited to see it unfold." For more information about BJE's work with day school leadership, contact Rabbi Jim Rogozen, Director, BJE Center for Excellence in Early Childhood and Day School Education. Click here for more information about BJE day school programs. In 1942, the Union of Orthodox Jewish Congregations of America published A Model Program for the Talmud Torah, a guide to building rich Jewish and Hebrew literacy through after school courses of study. Its editors were Joseph Kaminetsky, a leading Jewish educator of the era, and Leo Jung, a pre-eminent congregational rabbi who also served on the faculty of Yeshiva University. While Jewish day schools expanded in number and student enrollment in the decades post-World War II, many Orthodox congregations continued to sponsor after-school Talmud Torah programs, well into the 1980’s. By the end of the twentieth century, there were virtually no part-time Jewish educational programs under Orthodox auspices for children attending public school, save those sponsored by Chabad. Chabad supplementary school programs catered, by and large, to populations that did not self-identify as Orthodox. Day school enrollment had become ubiquitous for families affiliated with Orthodox congregations. As day schools—both Orthodox and non-Orthodox—grew, parental expectations grew, too. The generation of day school founders—in many cases driven by interest in nurturing Jewish literacy, values, and community—found modest facilities, class size of an order less than that at local public schools, and test scores higher than those of students in the neighborhood public schools sufficient, alongside the “driving” Jewish dimension of their children’s education. Parents who enroll their children at twenty-first century day schools often expect facilities rivaling those of the finest private schools as well as unparalleled educational offerings, including the broadest imaginable array of extra-curriculum programs. Such aspirations are certainly laudable, but they come with a price. It is not uncommon for elementary day school tuition to exceed $25,000 per child per year, with high school tuition exceeding $40,000. These charges are commensurate with the per pupil cost of education at many of today’s day schools. Although these rates—and the quality of education at Jewish day schools—are in line with other private schools, such tuition is beyond the reach of most families. There are active efforts to add to the revenue stream to (variously) reduce the charge across-the-board and add to day schools' capacity to provide need-based tuition assistance. These efforts include endowment development and accessing government resources. Both efforts have met with a measure of success, yet neither has, to date, significantly “moved the needle” of day school tuition. Similarly, efforts to curtail costs (through joint purchasing, for example), however helpful, have not significantly changed the reality of tuition charges. Since personnel account for eighty percent of school budgets, and excellent education depends on attracting and retaining outstanding staff, the possibility of substantial cost savings is limited. It is surely desirable for all Jewish families seeking a day school education for their children to have access to that opportunity. Yet, the reality is that such access is increasingly beyond the reach of ever-greater numbers of families. Has the time come to re-visit after school Jewish education not only for those families seeking to nurture Jewish identity, social connection and familiarity with Jewish holidays, selected texts and ideas, and basic vocabulary, but for those—of whatever denominational affiliation—seeking tools of literacy generally associated with day school? Have we reached a point of looking back to the future? PLC Goes to The Getty! Join us for a special day of learning (and our last workshop!) at The Getty Center. ways we’re making a difference this year. Across the Jewish spectrum, Jewish schools in Los Angeles receive a wide range of services and support from BJE. From birth through young adulthood, young Jewish people in Los Angeles are engaged in Jewish life through BJE programs and accredited or affiliated schools. 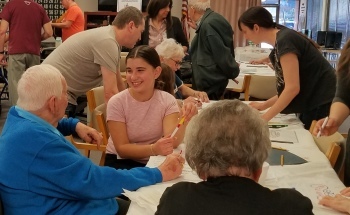 BJE leverages the strength of our vibrant community to generate public and private funding that benefits Jewish educational programs and institutions throughout Greater Los Angeles in a wide range of ways. Looking for a K-12 school or Parent and Me program? Look no further! BJE's JKidLA website and Concierge Rachel Kaplan will help you navigate through the 170+ Jewish schools in the greater Los Angeles area. BJE is dedicated to helping BJE affiliated schools, camps and youth groups find the best person to fill an available position. Employers post your jobs and job seekers look to see what's available - all at no charge.